Poker Games – Casino 99 Chico | Casino 99 is Chico, California’s local casino that provides the highest levels of customer service with a wide variety of Poker and Blackjack games and tournaments whether you’re a novice or a seasoned pro, we invite you for a game of Poker with food and drinks from our Bar and Grill. No Limit Texas Hold ‘Em, Texas Hold ‘Em, Omaha and Dealer’s Choice. 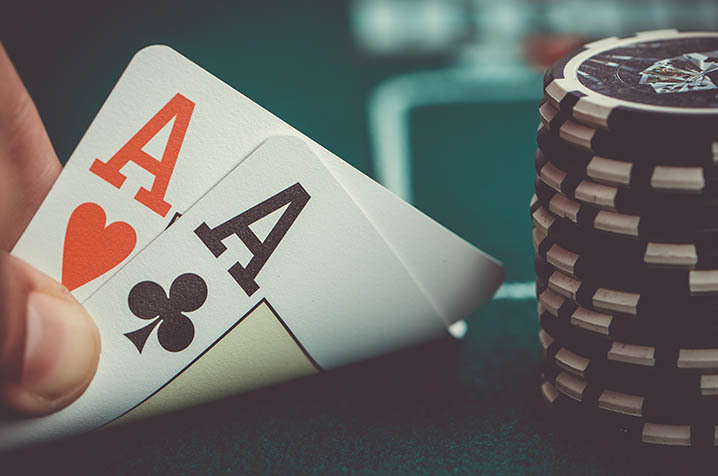 Poker games at Casino 99 include No Limit Texas Hold ‘Em, Texas Hold ‘Em, Omaha and Dealer’s Choice. All of our games take place in a comfortable environment where you’ll feel at home playing competitively or just learning the game. The staff at Casino 99 remain committed to making you feel at home, with full table service available from our bar and grill. Whether you’re a novice or a seasoned pro, we invite you to sit down at Casino 99 for a game of poker. Drop by once, and you’re likely to find your new favorite place. We offer a 1-1-2 No Limit Texas Hold ‘Em game, 7 days a week, all year round. On Mondays we have a 2-5 No limit Hold’em game that starts at 5pm. On Monday, Wednesday, and Fridays we also offer a 2-4, 2-8, Omaha High-Low split game, starting at 5PM.